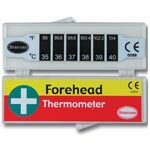 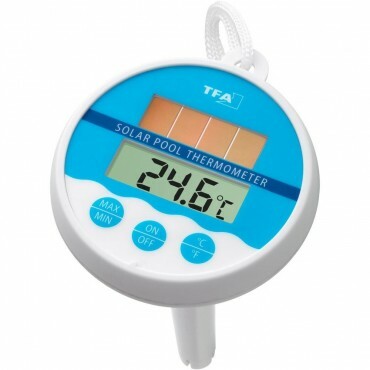 We have two main kinds of swimming pool thermometers. 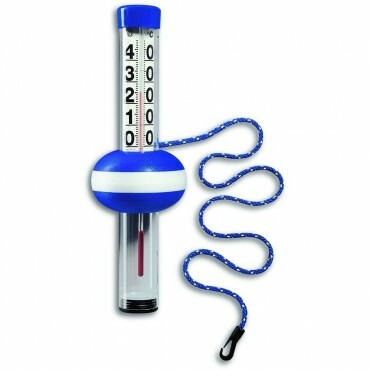 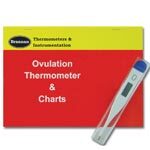 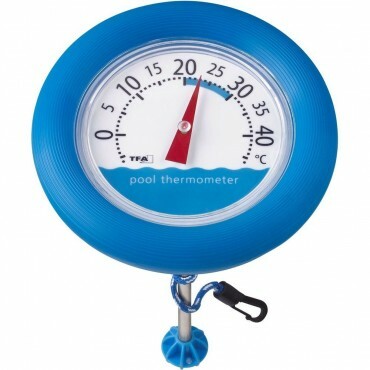 The traditional stick or dial thermometers are designed to float in the pool and display the current temperature. 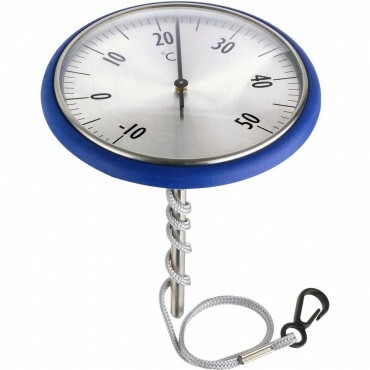 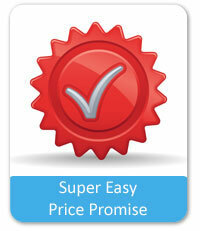 They also come with a tether if you want to keep it positioned for easy viewing. 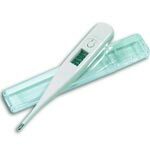 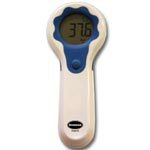 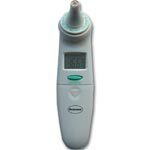 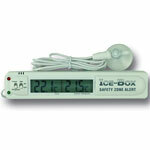 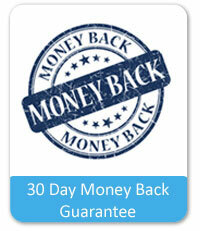 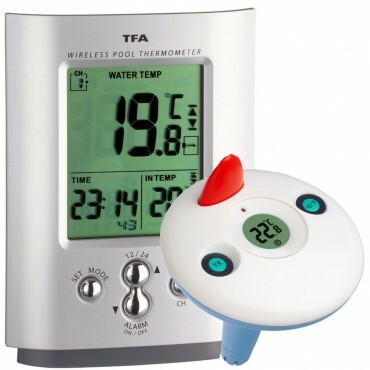 Digital swimming pool thermometers are designed to float in the pool and all display the temperature in digital format. 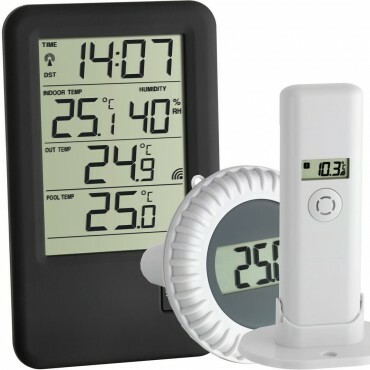 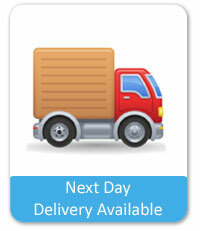 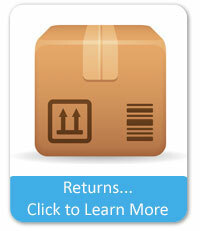 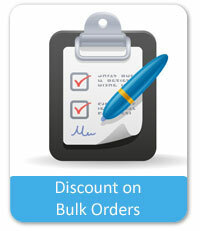 We do sell a wireless unit that transmits the temperature back to a base unit for easy viewing. 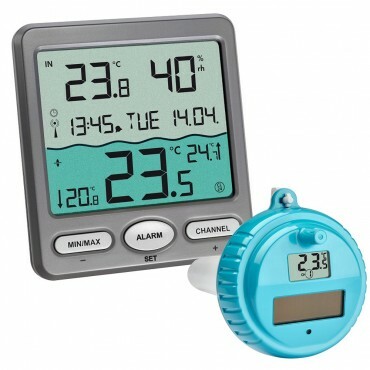 You can also set an alarm to sound if the temperature reaches a predefined limit you wish to keep an eye on. 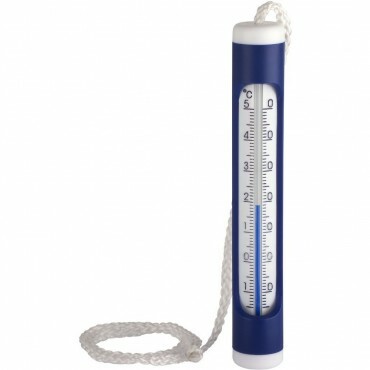 All these thermometers are designed for use in a swimming pool.